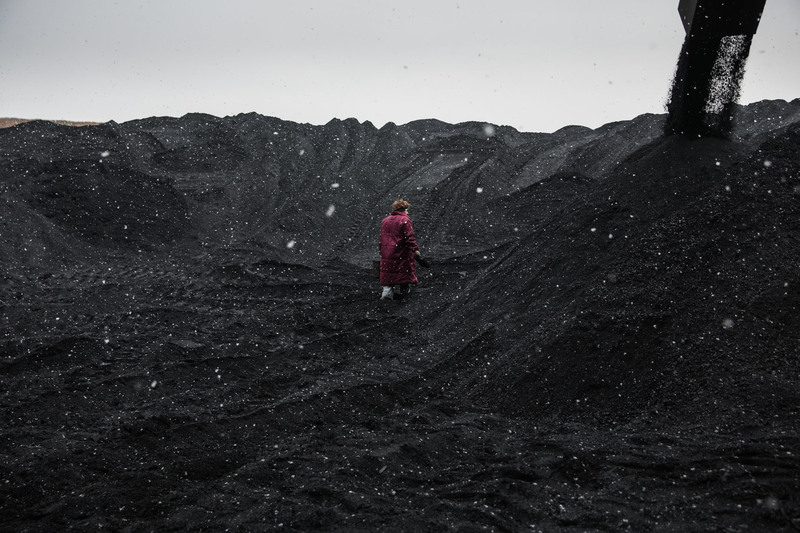 A quality control specialist collects samples of coal Holodnaya Balka mine on March 3, 2015 in Makeevka, Ukraine. While Ukraine's economy has significantly shrunk in the past year due to the ongoing conflict between the Ukrainian army and pro-Russian rebels, many coal mines have continued to operate. Scheglovka Glubokaya mine has operated for over 50 years.